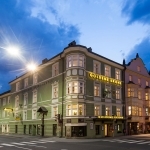 The city hotel Goldene Krone is located in Innsbruck’s biggest shopping street, the Maria Theresienstrasse and nearby the Triumphal Arch. 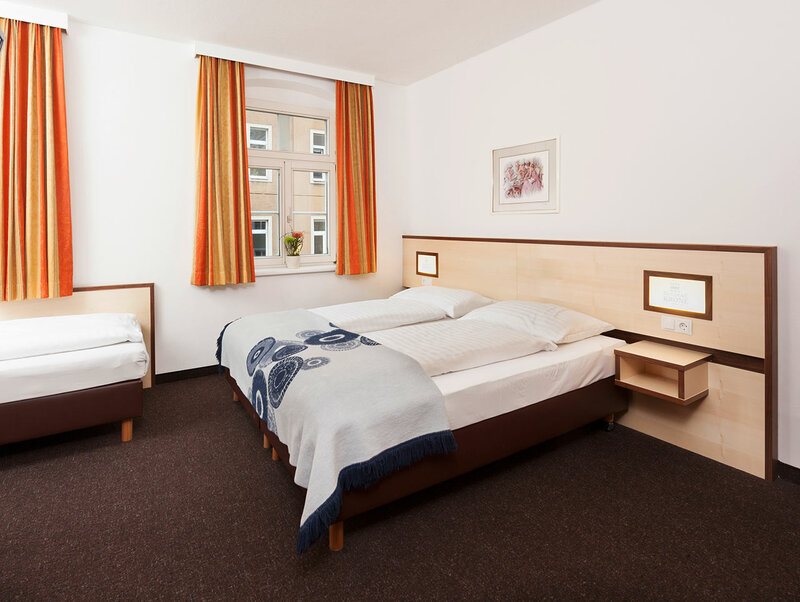 The baroque building is equipped with modern furniture, elevator, bike rental, a nearby public parking garage and a bus parking lot. 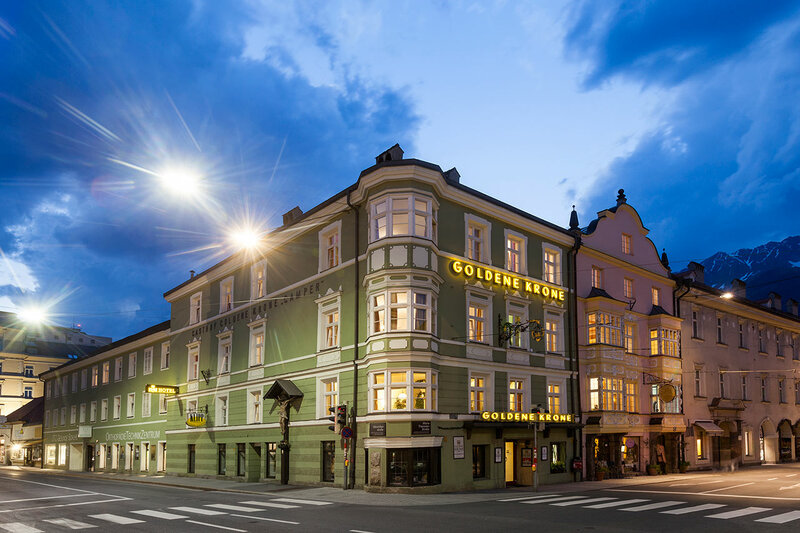 Our hotel is just a few minutes by walk away from Innsbruck’s famous landmark, the Golden Roof (“Goldenes Dachl”). 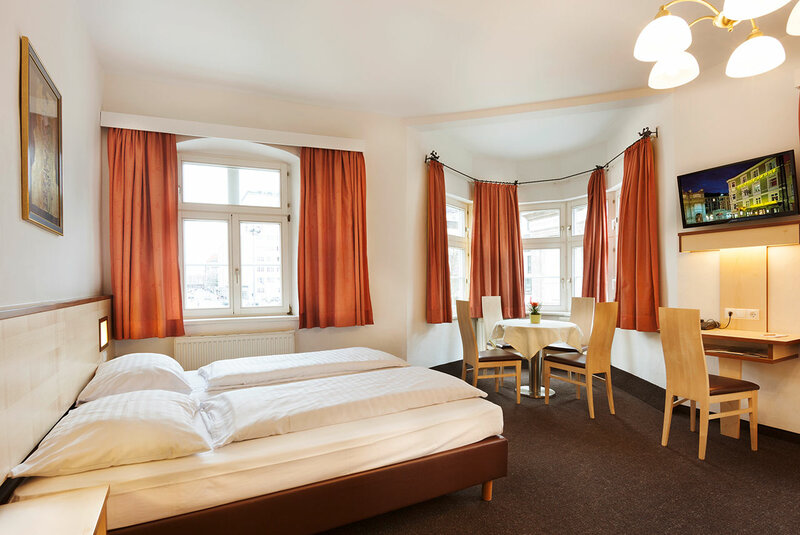 In summer we recommend visiting the city tower, the imperial castle (‘Kaiserliche Hofburg”), alpine zoo, renaissance castle Ambras, Swarovski’s crystal worlds in Wattens or the ski-jump Bergisel and its restaurant. 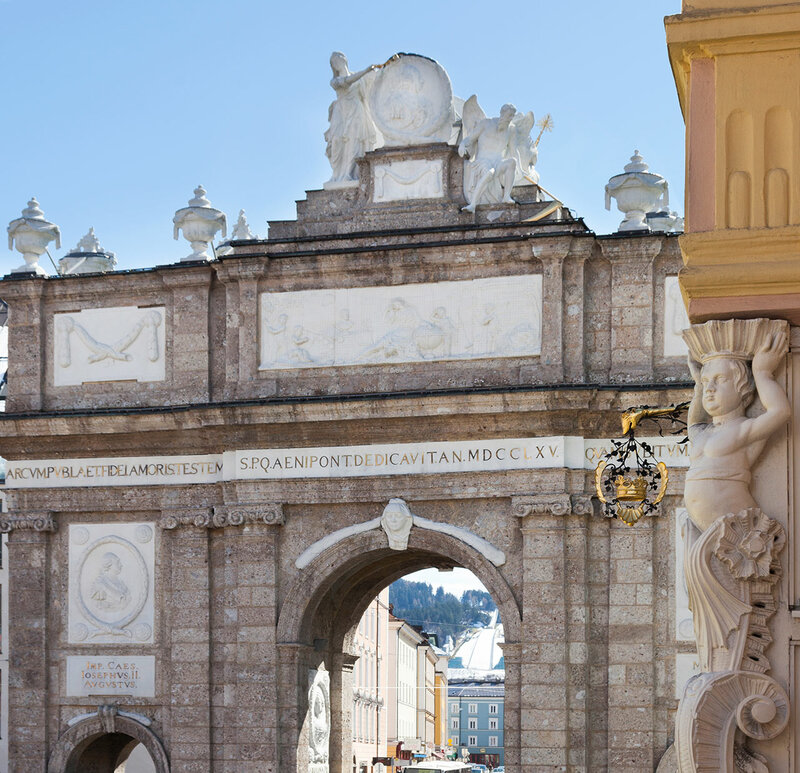 Innsbruck’s all inclusive card includes diverse entrance fees and public transport. In winter you can reach the 8 surrounding ski areas easily by a free ski shuttle bus, starting nearby the hotel (270 km ski slopes, cross country ski-tracks, snowboarding fun-parks or toboggan run). 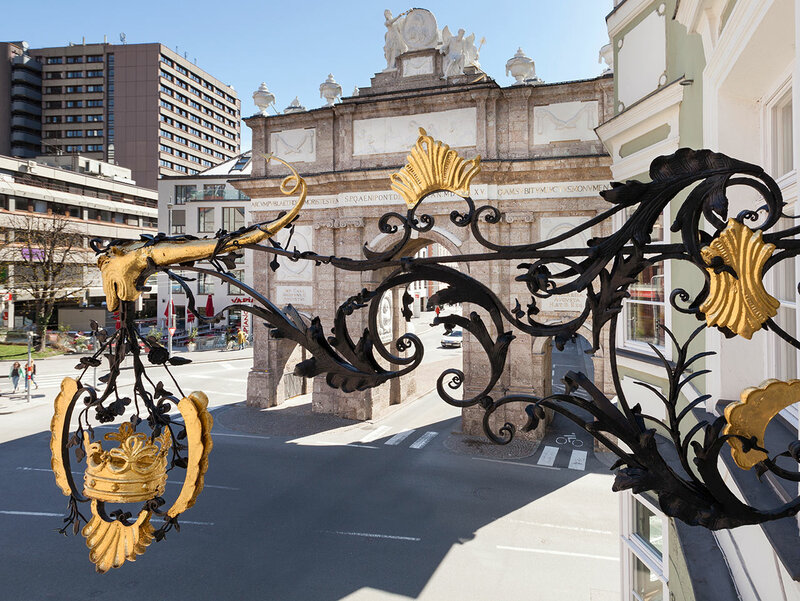 At the annual Christmas market in Innsbruck you are able to get an impression of the tradition, handicraft and gastronomic specialties of Tyrol. 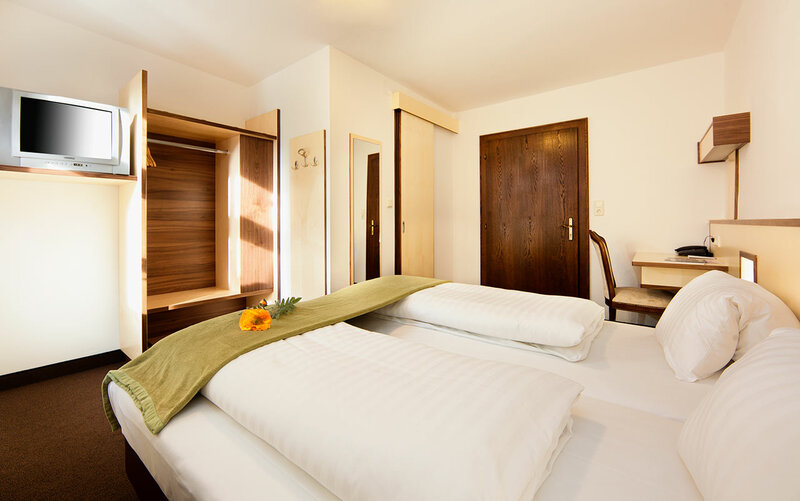 All 36 rooms are fitted with shower/toilet, windows with special noise protection glass, telephone and SAT-TV.